Can I manage Google AdWords or should I hire someone? Google AdWords is by default the largest pay per click advertising program used by millions of businesses across the world, to generate targeted, paid traffic to their websites and landing pages. It’s a must have for any serious digital marketer who wants to get laser targeted traffic to his web-pages and has maintained its dominant position in the PPC or Pay-Per-Click advertising space for more than a decade, thanks to the dominance of Google as a search engine. AdWords offers a far superior return on investment when compared with other digital marketing tools and comes with a host of tracking tools. You can also use it in combination with other tools from Google such as Google Analytics as it’s quite easy to link your AdWords account with your Google Analytics account and this will allow you to monitor your ad spend, and other metrics such as targeted traffic and conversions. Most people either manage their AdWords campaign by themselves or hire someone to do it for them. Both these options have their pros and cons which we will discuss below in detail. Although, most of the people decide to hire someone to manage an AdWords campaign due to lack of time and expertise as AdWords is quite a powerful and complex tool which requires a serious amount of hard work. Managing Google AdWords yourself is fine if you have a small budget, such as less than $500 per month. Managing Google AdWords yourself allows you complete control over your ad campaign including editing ads, keyword groups, bids etc. It will allow you to learn more about AdWords platform. One of the biggest drawbacks of a DIY approach to Google AdWords is the time lost in managing your ad campaign yourself as you will have to reduce the focus on your core business activities to manage an AdWords campaign. A DIY approach can work for large organisations where a dedicated person is tasked with running and managing the AdWords campaign. But for smaller businesses with too few team members, this may lead to problems. Like anything new, there will be a steep learning curve as you must be ready to make mistakes and learn from them if you have never used AdWords in the past. Managing your Google AdWords campaign yourself will also lead to a waste of time and money as ad agencies are charging for their expertise in running AdWords campaigns. Google AdWords is a complex tool, and it may not be possible for a newbie to master it easily. Agencies and AdWords experts bring the much-needed expertise to the table which can mean all the difference when it comes to the success of an advertising campaign. Instead of wasting time on managing your ad campaign or learning AdWords strategies you can outsource the whole process to an expert and keep focused on running your business. Few laypeople have the skills required to interpret tracking data from AdWords. As an ad agency or marketer would tell you, your AdWords campaign must be profitable from the point of cost-per-lead or the cost of acquiring a customer. AdWords agencies have the expertise to track the data, and it’s important to hire an expert if you want to integrate AdWords into your overall marketing strategy. High costs can be a downside of this approach as most agencies work on a fixed fee plus commission basis where they will take a specific percentage of your total monthly AdWords budget as their compensation. This fee can range anywhere from 1% to 10%, although customers with large advertising budgets tend to pay a lower fee to their AdWords manager. Many agencies have dedicated customer account managers who are certified by Google and can show you a Google certified AdWords expert of Google certified partner badge. Make sure that you ask for the credentials before hiring someone to manage your Google AdWords PPC campaign. Finding the right guy or agency can be a bit challenging as not all AdWords agencies have the required experience to manage a profitable AdWords campaign. Some may not have the required skills or may not match your work style. So, be prepared to search extensively before finalising your future AdWords manager. A cursory look at the pros and cons of each method will show you that each of these has their advantages and disadvantages and due to different needs of customers. No one size fits all approach will work when it comes to AdWords advertising. Managing Google AdWords, yourself may work for you if you have prior experience or have a small budget but it’s certainly not the approach adopted by well-established businesses. You don’t diagnose our disease by yourself when you are ill or participate in legal proceedings without the help of a trained legal professional. When we use the services of experts in every other sphere of life due to the knowledge and expertise which they offer, then it’s a bit surprising to see why people insist on managing their Google AdWords campaign by themselves without any formal training or understanding of PPC advertising. Both these options have some similarities such as work on your part. Even if you hire someone for managing your Google AdWords campaign, you will still need to monitor and provide input and strategy to the person managing the ad campaign. No one knows better about your business or business goals than you, and you must be ready to discuss everything in detail with your selected manager. Another similarity if the outlay of funds and budgeting as in both cases you will need an advertising budget. Funds outlay will be greater if you decide to select an agency for managing your AdWords campaign. There are some points which you will need to look into before hiring an agency for managing your AdWords Account. As agencies come in all shapes and sizes, we’ve decided to mention some of the most important factors which you must consider before hiring an AdWords agency. Try to find a niche specific agency. Unlike most AdWords agencies, these are focused on a niche market and know it inside out. If you are a travel business, then you must try to find an AdWords agency which has expertise in this niche. This is often the most overlooked point as people don’t consider how much they can gain by hiring an AdWords agency relevant to their industry. A niche agency will have strong ideas about the CPC of specific keywords, competition, and other metrics which will make or break your AdWords campaign. Ask about the KPIs which they measure. Good agencies always focus on conversions and profitability, while amateurs will tell you that they measure simple data such as impressions, clicks, or click-through rates. Ask who will manage your AdWords campaign. Almost all agencies are certified with Google AdWords certification and are often part of the Google Partners program. However, whilst these may sound impressive at first glance, but don’t get fooled by the Google badge as Google AdWords certification can be gained by anyone by passing few simple tests, whilst the Google Partner program only requires an agency to manage an ad spend monthly to become a part of this program. 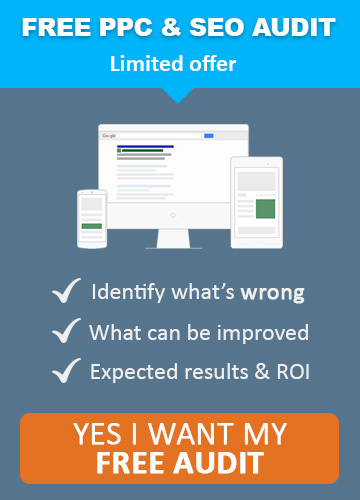 Ideally, your AdWords manager will have years, if not decades of experience behind them. The continuity of account managers is also an important part of the decision. Often with larger agencies the account manager can change annually or bi-annually due to career progression and staff turnover. Established AdWords agencies will have plenty of positive reviews left by clients, and you can easily separate professionals from amateurs by glancing at client reviews. Keep an eye on important keywords and performance metrics. Always analyse the data such as CPC or cost per click, the number of impressions and clicks as these may throw up some interesting insights. Be ready to further optimise your campaign.. Indeed, successful AdWords campaigns are a result of hard work and optimisation which may take months to show the optimum return. Integrate AdWords into your overall marketing strategy as AdWords works best when it’s an integral part of a business’s marketing strategy. 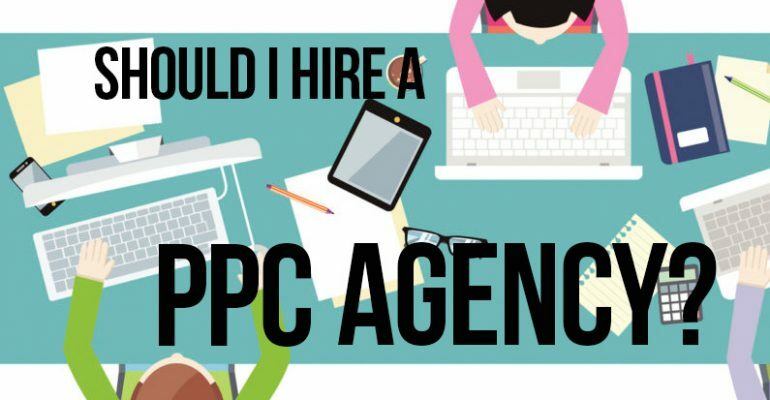 You can choose any of the options for managing your Google AdWords campaign, although hiring an agency is usually the best for most businesses. It is indeed the preferred method for millions of businesses to save time, money and energy; as well as to ensure the best performance. You must not lose the sight of the wider picture. Google AdWords like any other business process requires constant attention and these are inherently long-term. Many people wrongly classify SEO and PPC as expenses when these can turn out to be the best investments made by you in your businesses if they are done the right way. Successful marketers have generated substantial return on the investment in Google AdWords. You can get in touch with us to discuss your PPC Management needs, and our experts will be more than happy to help you with a detailed audit of your current performance.